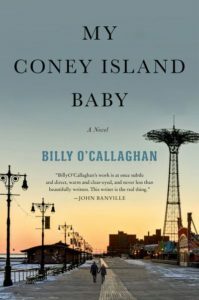 Billy’s new novel, My Coney Island Baby, will be published by Jonathan Cape in the UK, as well as Harper Collins (USA), Grasset (France), Jelenkor (Hungary), Ediciones Salamandra (Spain), L’Altra Editorial (Catalonia), Ambo Anthos (Netherlands), Paseka (Czech Republic), btb Verlag (Germany) and Guanda (Italy). 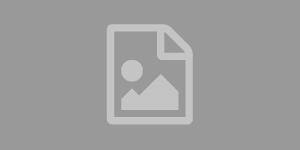 “On a bitterly cold winter’s afternoon, Michael and Caitlin escape their unhappy marriages to keep an illicit rendezvous. Once a month, for the past quarter of a century, Coney Island has been their haven. 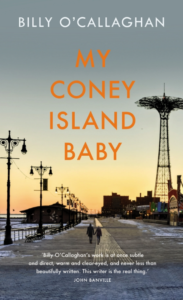 My Coney Island Baby is due to be released by Jonathan Cape in January 2019, and is available for pre-order now in the UK, Ireland and the Commonwealth from Amazon, Hive, The Book Depository and Waterstones. In the US, it will be published by Harper Collins in April 2019, and is available for pre-order now from Amazon, Apple Books, Barnes & Noble, Books-a-Million, HarperCollins, IndieBound and The Book Depository. Billy O’Callaghan’s short story, A Death In The Family, has been released as a Ploughshares Solo. 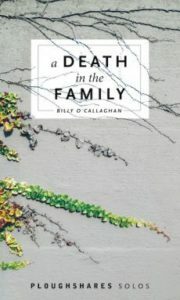 The story can be obtained as a digital download from Ploughshares, or on Amazon.com/Amazon.co.uk.